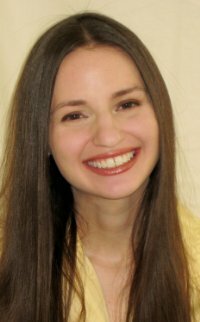 The Crazy Bookworm: Author Spotlight with Daria Snadowsky and Giveaway! Author Spotlight with Daria Snadowsky and Giveaway! First off, thank you for stopping by The Crazy Bookworm! 1) My favorite Brontë sister is Anne. 2) I wrote my college thesis on filmmaker Ang Lee just so I could have a good excuse to watch Sense and Sensibility over and over again. 3) My sweet sixteen was a toga party at Caesar’s Palace—opportunities like that is one of the cool things about living in Las Vegas. 4) I like watching movies more than reading. I know, off with my head! 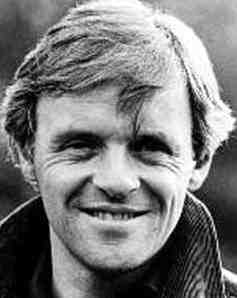 5) When I was fourteen, I had a MAJOR crush on Anthony Hopkins. Like, to a disturbing degree. You can read about it here. Anatomy of a Boyfriend surrounds a girl facing the issue of continuing a relationship after High School Graduation. What inspired you to write about that? Judy Blume’s Forever…, which was about the same thing. Though in Forever…, the day of reckoning occurred over summer vacation after graduation. My book follows the main couple into college. As a girl that was in a serious high school relationship, you hit the nail on the head. You addressed almost EVERYTHING that I felt and went through. It was so great to be able to relate to Dominique! What about you? Was Anatomy of a Boyfriend inspired by true events? Thank you! Oh yeah, I don’t think I could have written about the roller coaster of first love if I hadn’t gone through it myself. When it’s good, it’s like walking on air. When it’s bad, well…your feelings can get pretty crazy. But crazy is normal. What comes first: The characters or the idea for the story? I’m sure it depends on the writer. For me, it was the story. I knew I wanted to write about first love, and Dominique grew out of that. What is 'A Day in the Life of Daria Snadowsky' like? Every day’s really different, but each one involves way too much time on my iPhone and watching HGTV. Coffee Bean and Tea Leaf, especially with a mug of hot chocolate by my laptop. When you are not writing, what do you enjoy doing in your spare time? Eating and watching movies. In other words, being very boring. Dinner Party! You can invite any 5 people to dinner (Dead or alive, real or fiction) who would be on your guest list? Father Ralph de Bricassart (from Colleen McCullough’s The Thorn Birds), Colonel Brandon (from Jane Austen’s Sense and Sensibility), Billy Joel, Anthony Hopkins, and Emma Thompson. We’d have fondue. Would you like to see any of your books hit the big or small screen? And is there a certain actor/actress you have in mind for a character? I’d be a thrill, though I think it’d be challenging for the ANATOMY books to translate to the screen because so much of the action occurs inside Dominique’s head. Either way, I think Emma Stone would make a great Dom. What books and/or author's have been influential for you? Judy Blume. She was among the first to tackle YA issues in a completely straightforward and nonjudgmental way. Finish this sentence: "I can't live without..."
2013 has entered the book scene with a bang! What books are on your Summer Reading Pile? I’m actually planning to reread some of my old faves, including the Maud Hart Lovelace Betsy-Tacy series. Who do you root for: Hero or Villain? Heroes, as long as they’re a little villainous. Shadowlands. It has a tour de force performance by Anthony Hopkins. Watching John Hughes movies while eating Cinnabons. Thank you so much for stopping by, Daria. It was a pleasure!